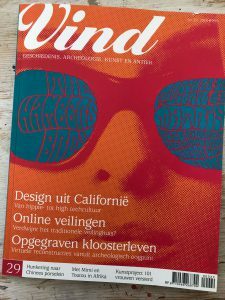 Proud of the article in Art magazine VIND. La Table, fair, Naarden Vesting. 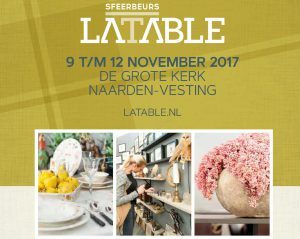 This year you can find me, again with “Earrings from Marthje”, on the beautifull Fair La Table in Naarden vesting. The fair has been updated en shows more than one “Wonderfull Worlds”. For more information see de website from La Table. 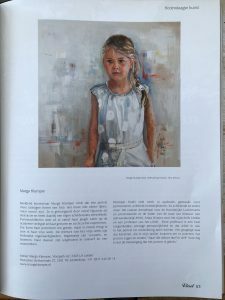 You can find us at stand 67 where I will show some new Portraits en new Free Work. 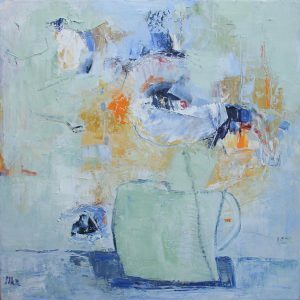 I also made some Abstract flowerpaintings, you can see them in stand 60. The Art Route of Leiden will take place on the weekend of 23 and 24 Sept 2017. Once again I am able to make use of the beautiful premises of René Schaap at Langebrug 32a, or “Bespoke René Tailoring”, where you can buy beautiful made to measure clothing (and chose from the most magnificent materials). 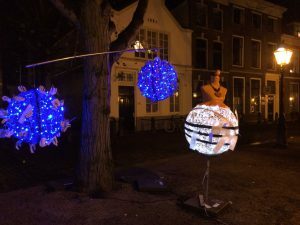 The starting point this year is at Ars Aemula Naturae on the Pieterskerkgracht 9a. Free routebooks are also available here. Summerday, oil and waxmedium, 80 x 100 cm. I am showing a number of new portraits as well as free work. 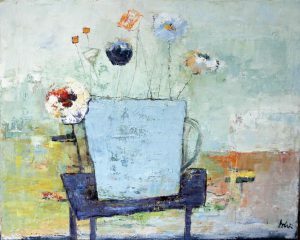 Completely new are a number of flowerpaintings. I received so many beautiful flowers this past year that I just had to paint them. All locations are open from 12-18 hours both days. Welcome! The convention on the rights of the child is in existence for 25 years. 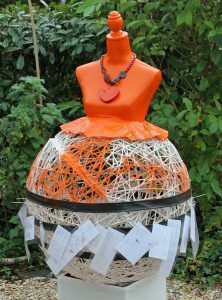 Twenty artists have each made a ball, each of which represents one of the rights. I had the right of love and care. The children of St. Josef School wrote what this means for them and those texts hang on the ball. Special day for me was the TV recording in the Leiden University Medical Centre for and with the children’s ward. It was an enjoyable experience to be a guest on the Cappuccino radio programme of the NCRV and to meet Ellen ten Damme with her magpie. Have painted both of them since then. During this programme Jacqueline de Groot won the first print of the painting ‘Dutch summer Time’. The programme had added music to the film about the painting and people were invited to react to it. This print is a certified edition of 25 items issued in museum quality. Should you be interested, please contact me, as there are still five available.